Amazing! 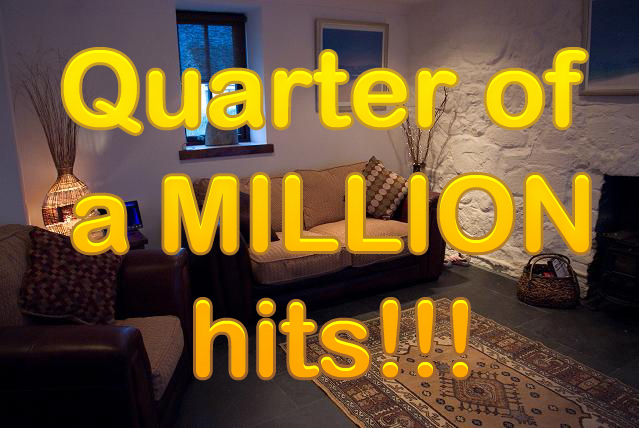 We’ve now surpassed a QUARTER OF A MILLION unique hits to our website!! That’s incredible news for our small business and a sign of repeat business and interest. Struthan Cottage continues to prove very successful due to it’s high standards of maintenance and cleanliness. A warm, cosy retreat equipped with everything you’ll ever need, the cottage is proving as popular as ever with Summer 2014 filling up fast! Indeed, 2013 is fully booked out from now until early November! If you fancy a Winter break, just look at our deals. Or why not reserve a Spring or Summer 2014 holiday. Reserving is free for a short time, booking only with a deposit and we wont chase for balance until 4 weeks before your holiday. Don’t miss out. We’d love you to see the cottage and the island.